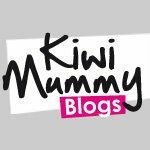 Kiwi Mummy Blogs is a site for mums that blog. We list fantastic kiwi mummy blogs on our site for you to read them at your leisure. We also offer a number of activities from giveaways, to linkies to general advice. So head over and have a read of our kiwi mummy ramblings.